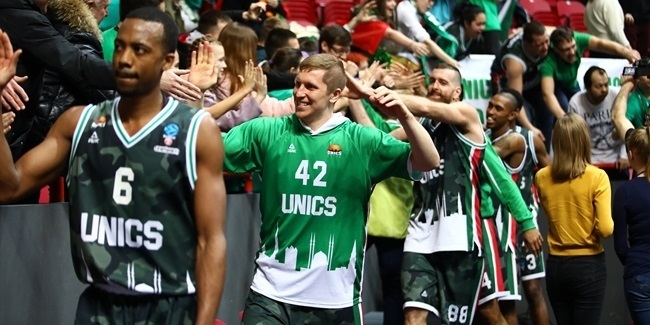 UNICS Kazan reached an agreement with playmaker Errick McCollum, who signed a one-year deal with the Russian powerhouse with an option for another season, the club announced Friday. McCollum (1.85 meters, 30 years old) arrives from Anadolu Efes Istanbul, where he averaged 14.6 points, 2.4 rebounds and 2.3 assists in 29 Turkish Airlines EuroLeague games last season, in which he helped his team win the Turkish Cup. In his first stint with Galatasaray Istanbul, McCollum led the team to win the 2015-16 7DAYS EuroCup title, earning season MVP honors. McCollum averaged 18.1 points, 4.3 rebounds, and 3.5 assists in 20 EuroCup games that season. He started his professional career with Elitzur Netanya of Israel, and also played for Hapoel Kfar Saba/Kohav Yair in the Israeli second division, leading that competition in scoring (24.3 ppg.). 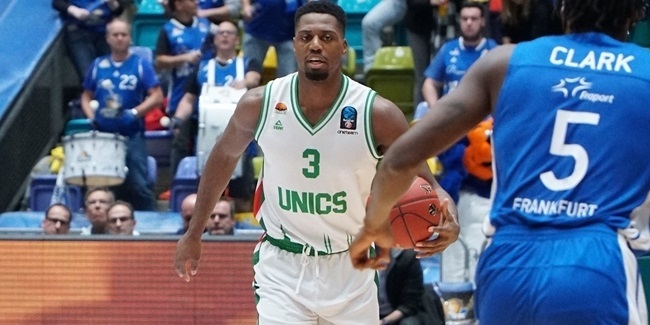 McCollum also played in Greece, first for Apollon Patras and then with Panionios Athens, where he became the top scorer both in the Greek League (17.7 ppg.) and the EuroCup (20.2 ppg.) in the 2013-14 season. McCollum also played for Beikong Fly Dragons and Zhejiang Chouzhou Bank, leading the Chinese League in scoring at 39.6 points per game. McCollum, the second-best scorer (19 ppg.) 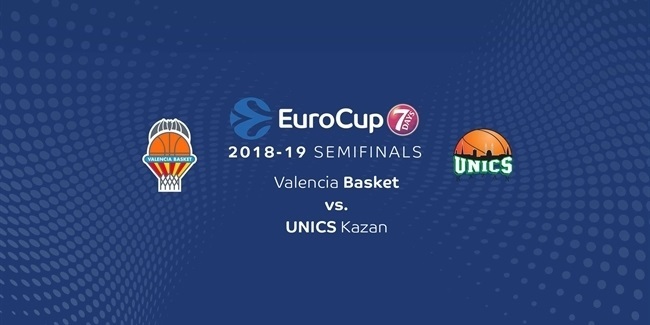 in EuroCup history, is set to return to the competition for the first time since lifting the trophy.